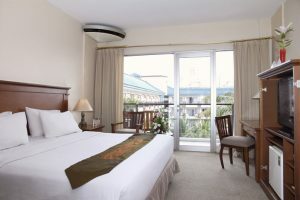 A magnificently located hotel and resort, The Jayakarta Bandung Hotel is perched above the highland city of Bandung, providing sweeping views of the entire city and surrounding mountains. 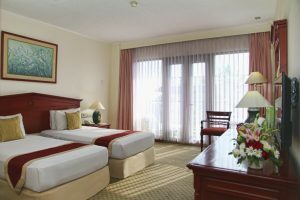 Offering well-appointed rooms and suites for your accommodation in Bandung, with all the usual modern facilities of a four-star hotel, guests of The Jayakarta Bandung Hotel, will enjoy exemplary service and outstanding amenities. 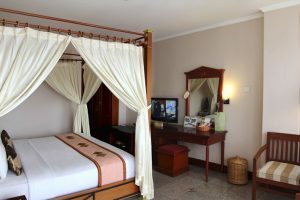 Tour the local tea plantations or play a round of golf at the nearby Golf Course, then relax at the end of the day in any one of the hotel’s bars or eateries and watch the sun go down over the sparkling lights of Bandung. Twin Bed • Air Conditioner • WIFI Internet • IDD telephone • Mini Bar • Electronic Key Room Access • Cable TV • Work Desk • Coffee & Tea Making Facility • Bathroom with shower (Hot & Cold Water) • Complimentary Room Amenities. Choices of Twin or Double Bed • Balcony • Air Conditioner • WIFI Internet • IDD telephone • Mini Bar • Hair Dryer • Work Desk • Electronic Key Room Access • Cable TV • Coffee & Tea Making Facility • Bathroom with bathtub and shower (Hot & Cold Water) • Complimentary Room Amenities. Choices of Twin or King Size Bed • Sofa Bed • Living Room • Air Conditioner • WIFI Internet • IDD telephone • Mini Bar • Work Table • Hair Dryer • Electronic Key Room Access • Cable TV • Coffee & Tea Making Facility • Bathroom with bathtub and shower (Hot & Cold Water) • Complimentary Room Amenities. 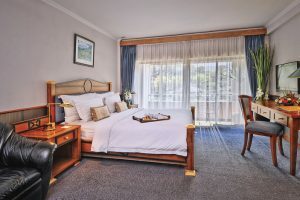 Choices of Twin or King Size Bed • Air Conditioner • Balcony • WIFI Internet • IDD telephone • Mini Bar • Work Desk • Hair Dryer • Electronic Key Room Access • Cable TV • Safe Deposit Box • Coffee & Tea Making Facility • Bathroom with bathtub and shower (Hot & Cold Water) • Complimentary Room Amenities. King Size Bed • Living Room with Toilet • Air Conditioner • WIFI Internet • IDD telephone • Sofa Bed • Wardrobe with Bathrobe • Mini Bar • Writing Table & Chair • Hair Dryer • Electronic Key Room Access • Cable TV • Safe Deposit Box • Coffee & Tea Making Facility • Bathroom with bathtub and shower (Hot & Cold Water) • Complimentary Room Amenities. 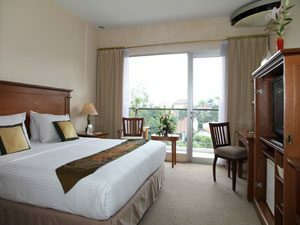 King Size Bed • Cable TV • IDD Phone • Bathroom with Bathtub & Shower (Hot & Cold Water) • Individually Controlled Air Conditioner • Wardrobe with Bathrobe • Sofabed & Sofa Chairs • Refrigerator • Shoes Rack • Complimentary Room Amenities. 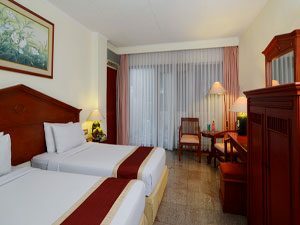 Choices of Twin or Double Bed • Cable TV • IDD Phone • Bathroom with Bathtub & Shower (Hot & Cold Water) • Air Conditioner • Wardrobe with Bathrobe • Mini Bar • Shoes Rack • Complimentary Room Amenities. 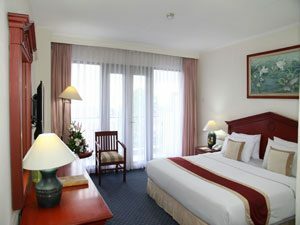 Located in the hillside of Dago, Bandung, The Jayakarta Suites Bandung, Boutique Suites, Hotel & Spa is about 180 minutes driving from Jakarta and 165 minutes driving from Bogor. From Husein Sastranegara International Airport about 8.5 km, 30 minutes driving. From Bandung Train Station about 7.5 km, 20 minutes driving. From Leuwi Panjang Bus Terminal about 11 km, 35 minutes driving. Jl. Ir. H. Juanda No. 381 A.